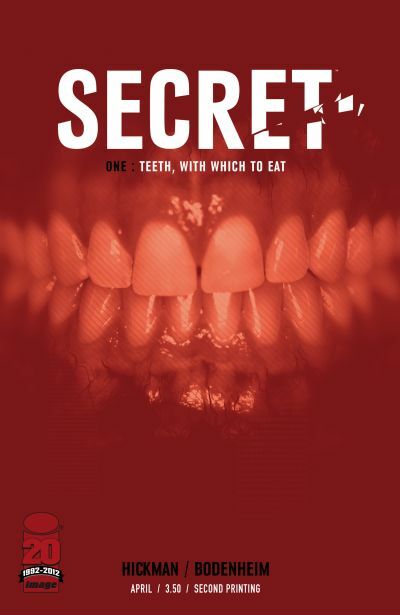 The first issue of SECRET, Jonathan Hickman’s second creator-owned series published by Image Comics this year, has sold out at the distributor level. SECRET #1, which is drawn by Ryan Bodenheim, will be in stores on April 11. The second printing (FEB128171) will be on the shelves the same day as SECRET #2, May 9. A complex tale of private security firms, government corruption, and conspiracy, SECRET comes out a month after Hickman’s new series with Nick Pitarra THE MANHATTAN PROJECTS sold out of its first issue. Hickman and Bodenheim previously collaborated on the superhero series RED MASS FOR MARS.